I am quite certain that the Akan-language and other local-language newscasters got the real story behind the recent power outages in the country, or the Dumsor disruptions, to the general public in relatively more simpler terms than the rather rhetorically convoluted report that was presented by Mr. John Peter Amewu, the Energy Minister, to Parliament on Friday, March 15, 2019 (See “Dumsor Caused by Transmission Challenges, Not Generation Faults” Modernghana.com 3/15/19). The stark and verifiable truth clearly appeared to lie somewhere in-between what the preceding parenthetical news headline suggested, and the Energy Minister allegedly reported to the august House. Which was that there really were absolutely no “transmission challenges” as such, but the construction of a major highway or section of a highway that had necessitated the taking down or disabling of some power-carrying pylons, temporarily, and the restoration and/or rerouting of the same several days later. What the Energy Minister ended up telling our Parliamentary Representatives and which, by the way, was not entirely false but glaringly linguistically infelicitous, was the fact that the construction of the highway interchange or express-roadway linkage had caused an artificial dislocation of regular and/or normal power transmission, and not because like what perennially prevailed under the previous Mahama-led regime of the National Democratic Congress (NDC), there had occurred a purely maintenance problem entailing some archaic faulty generators that needed to be promptly upgraded in order to ensure a smooth distribution of both hydroelectric and thermal power across the country. 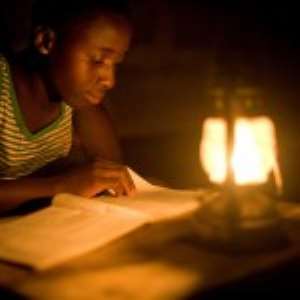 What gave me hope, however, was the announcement that Ghanaian electrical engineers were hard at work, around the clock, with their Japanese corporate and/or business partners to ensure that the restoration of full energy supply would be promptly executed to the timely satisfaction of consumers and customers. You see, the “Japanese Factor” fascinated me not the least bit because recently, the global community awoke to the all-too-characteristically pleasant news report that a Japanese Minister who had appeared just three minutes behind a scheduled appearance before that country’s Parliament had been forced to promptly apologize for such insufferable wastage of the paid worktime of that country’s elected representatives of the taxpayers. In other words, were the NPP public relations apparatus in ship-shape, as it were, we would not be discussing this purely incidental or secondary matter of the growing pains of our unimpeachably progressive national development efforts. Still, in the best of worlds, the Government or whoever’s fault it is for the culturally and industrially disruptive occurrence of the latest bout of Dumsor would be compensating all those, especially businesses, significantly affected by the allegedly temporary power outage. Here in New York City, for example, whenever there has been a power meltdown, as often happens annually during the white-hot summer months, Consolidated Edison (or Con Edison), the main power supplier, would voluntarily pay nominal sums of dollars to all households who suffered food spoilage when their refrigerators lost power for more 24 hours or a day. Now, I haven’t researched this, but I am inclined to believe that businessowners also get compensated for lost worktime. Of course, if these businesses were insured before the occurrence of the power outages, they are highly likely to be able to recoup a considerable bulk of their losses. If we had a civic- and corporate-responsive system such as has been detailed above, Ghana’s energy suppliers would be more likely to be far more responsive and responsible than they currently appear to be. I am in no way hereby calling for frivolous litigations or lawsuits. I am simply calling for the need for the level of corporate social responsibility to be significantly upgraded, if Ghana is to be able to effectively function as an enlightened neoliberal free-market-oriented democracy. This kind of a healthy democratic political culture is highly unlikely to be nurtured, let alone survive, under the stewardship of any of the Judgment-Debt scheming and scamming operatives and apparatchiks of the National Democratic Congress. The industrial development of Ghana necessitates not only the stability of energy supply in the country but even more significantly, the reasonably abundant supply of the same, especially if the impending establishment automobile assembling plants by such transnational corporate giants as Volkswagen, Nissan and Renault, among a host of others, is to make the requisite national and regional impact.